It is 2 weeks into the new year. Everyone seems motivated. I am back on MyFitnessPal. I want to lose 20 pounds from where I am at now. Exercise is not a problem, it is all my diet. Portion control, snacks, and eating out. Reading all this info about eating clean, all this processed food and how your body deals with it. It is crazy. 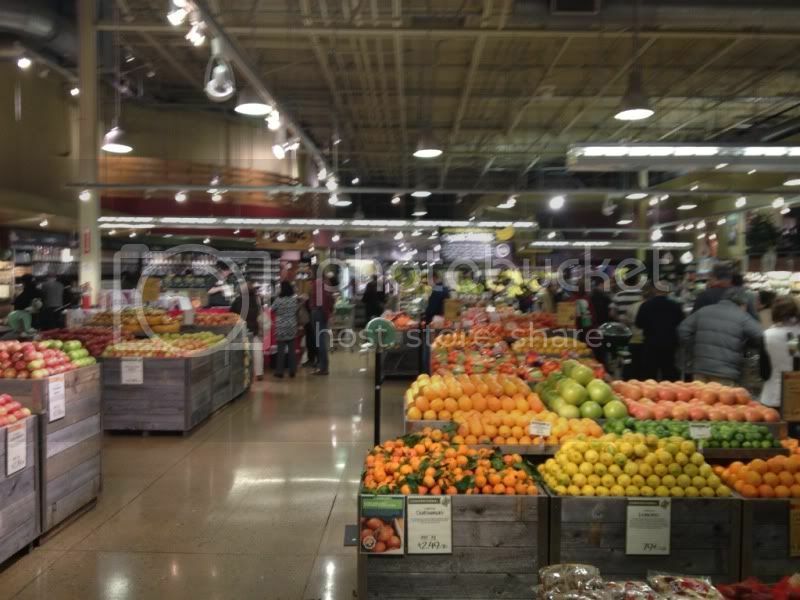 We went to Whole Foods the other night - I could not believe all the great looking food. And it was healthy! I like the fact that they do not even let the funky foods enter the store. I could have spent a thousand dollars there. So many things I want to try! We ended up with some great seafood, pasta sauce, tons of fruits and veggies, and milk. So far we have picked winners. Working on a list of things to get for next time. Next up was the exercise... my bike team has a challenge for the first of the year. It is to ride up the Devils Backbone (hill outside John Bryan State Park in Yellow Springs) 60 times before March 1st. Which basically nearly one time for each day. 13 days into it this year and I have done it 34 times. So far it has been pretty fun doing it, especially in large groups. The big surprise to me was Carisa - she seems to really enjoying it. She really is getting into it. She was with the group on Saturday doing it and she did great. In the beginning I was quicker than her, but as we got to our last times (the 10th, and 11th, etc) she would pass me and keep going. I asked her what her secret was and she told me that she was using the big ring on the front now..... seriously? She is the Hammer! So proud of her, she has the potential to be a great fast climber! Keep it up! On the same day we had breakfast (ok brunch or early lunch) at the Clifton Mill. The food there is so TEMPTING! George got 2 pancakes that were as big as his head, insane! I have to say that starting last fall and definitely this year the group I am riding with is Awesome! Everyone at Champion City Cycling is always fun to ride with, but getting to know Team Mad Cow Ramble has been great! They are all great guys and will do anything they can to help you out. It's fun mixing it up with them at events, even though we push each other, there isn't anything I wouldn't do to help them do better. They are just those kind of guys! 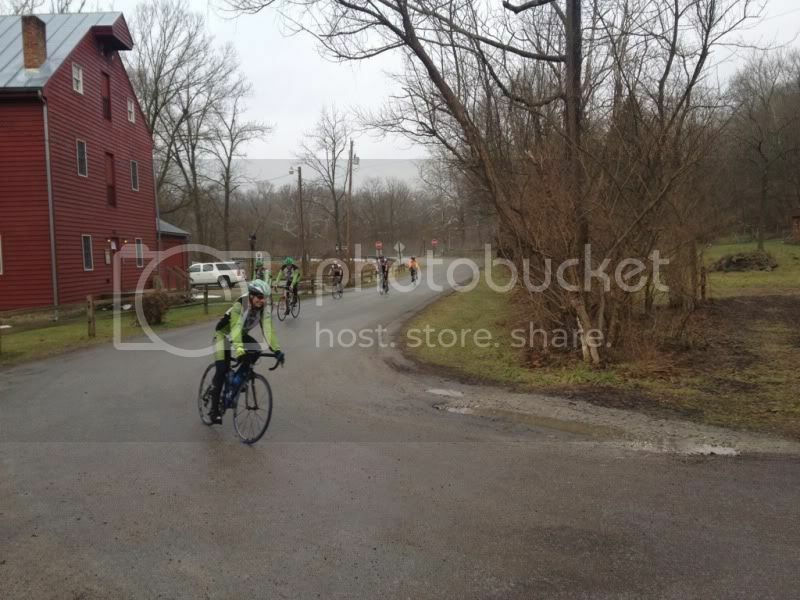 Here is a shot of Champion City Cycling and the Mad Cow Ramble riders ready to chow down at the Clifton Mill! Need to hit this week hard. There is another indoor time trial next Sunday! This is the 3rd one in the series. So far each time I have knocked 30 seconds off my PR (over a minute faster this year from last year) - so that is a tough pattern to follow for this one! I will try my best!